Daily Debate: Should There Have Been Zelda References in Super Mario Odyssey? 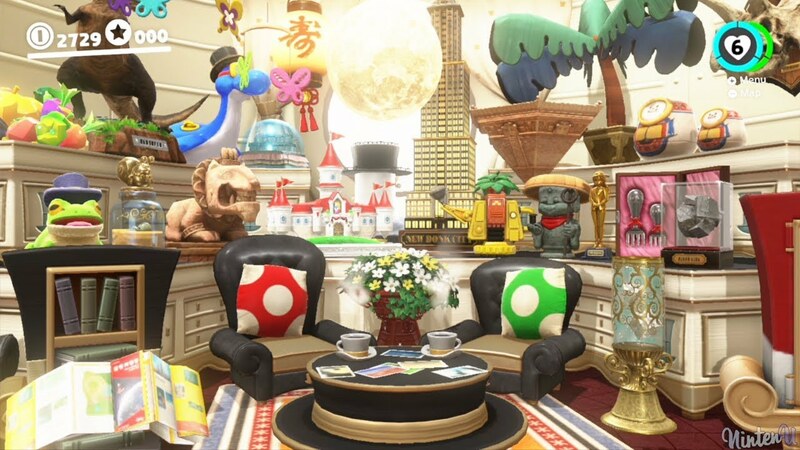 Having recently played Super Mario Odyssey, I really enjoyed flitting from world to world collecting souvenirs and bumper stickers, like some kind of overzealous, Italian, body-snatching tourist…which is exactly what I’d become. But what does this have to do with Zelda? Well dear reader, as I traveled from kingdom to kingdom, sampling the various delight each had to offer, furnishing my little home from home with statues, knick-knacks and ornamental forks, I felt something was missing. For a game so laden with knowing winks to its own past and a focus on new, alien worlds, I really pined for some kind of Zelda cameo. We’ve had myriad Mario references throughout the Zelda series; A Mario mask on the backpack of the Happy Mask Salesman, Malon’s Bowser pendent and even a Hammer Bro suit in Tri Force Heroes, not to mention the heaving cameo-fest that was Link’s Awakening. However, Mario and Co. have been far less accommodating to the denizens of Hyrule, Easter Eggs kept to a minimum. I just love the idea of a world, or maybe a section, with Goomba’s in little green hats or Rupee-shaped purple coins tucked away in impossible locations. I wanted a little bit of Zelda amongst my tourist’s treasure trove, a cushion maybe emblazoned with a Triforce, a Hylian shield lent against the coffee table, a vase of Silent Princesses, you get the picture. But am I whining about something totally unnecessary? Do you agree with me? Would you like to see more Zelda cameos in other Nintendo games? Let us know your thoughts in the comments below!